Bang Bang was buried in an unmarked grave in St Joseph's Cemetery, Drumcondra. 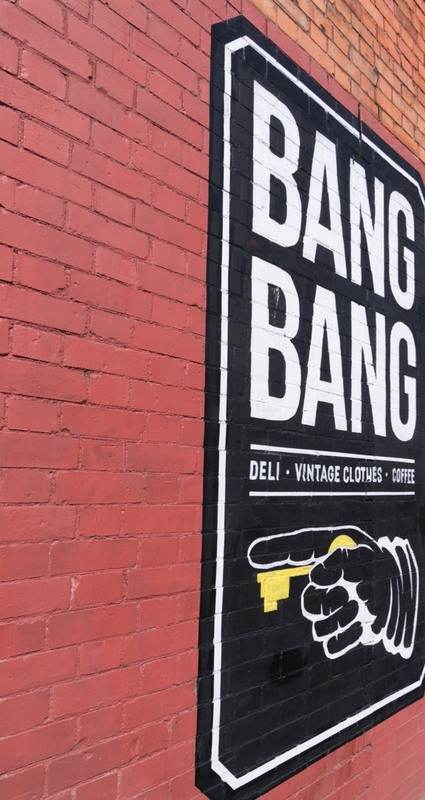 In 2017, 36 years after his death, a headstone was erected after a fundraising campaign by a local café named Bang Bang. Bang Bang (born Thomas Dudley; April 19, 1906–January 11, 1981) was an eccentric elderly gentleman in Dublin in the 1950s and 1960s who achieved fame as a character in the city. Dudley was raised in an orphanage in Cabra, Dublin. He lived most of his adult life on Mill Street, in the Coombe, Dublin. 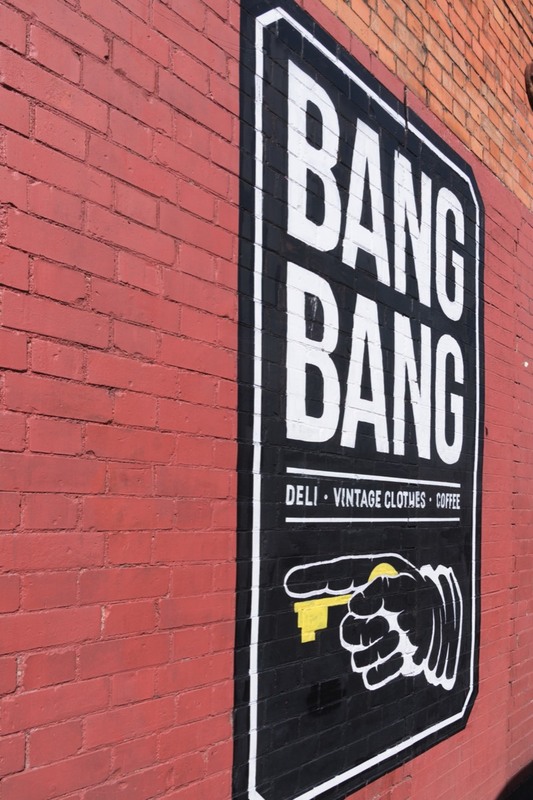 A fan of cowboy films, Bang Bang used to travel the buses and trams of the city staging mock shoot-outs with passing people (hence his nickname). He carried a large church key in his pocket which he used as a 'gun'. Dubliners, who enjoyed his good-natured antics, used to participate in his games, sometimes "returning fire" by pretending they had a gun in their hands and shouting "bang bang" back at him, or by falling down "dead" on the city streets when he suddenly appeared at the back of a bus or tram and "shot" them. On occasion Bang Bang even interrupted plays on stage by "shooting" the actors, generally to the amusement of actors and audiences alike. 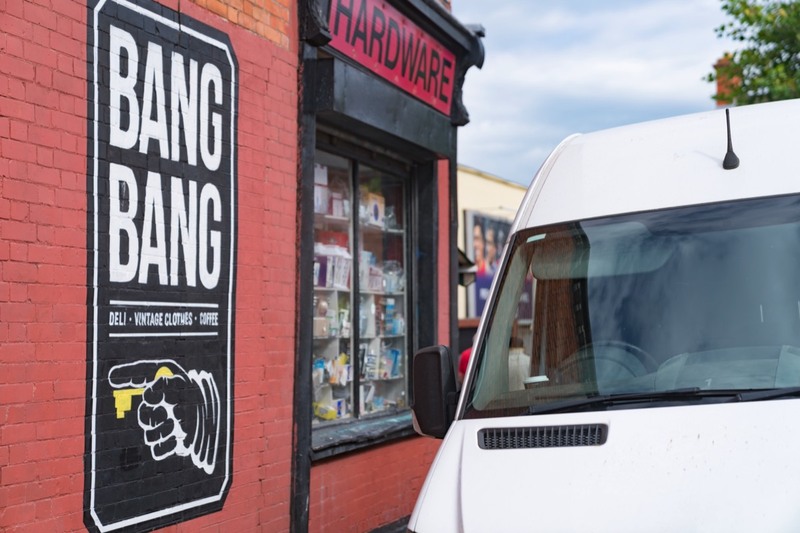 Bang Bang has entered the folklore of Dublin as an eccentric but harmless individual who amused the city's citizens with his games. He still is mentioned in books and broadcast programmes. In the 1970s the Abbey Theatre performed a play about the history of Dublin entitled From the Vikings to Bang Bang. His key is on display in the reading room of the Dublin City Archive, Pearse Street. Hey hi diddley I and out goes she"
Bang Bang was part of the inspiration for the Shadowbox Theatre Company's Play 'Looking for Bang-Bang' set in Dublin following the path of three children in Dublin searching out famous characters at the time.